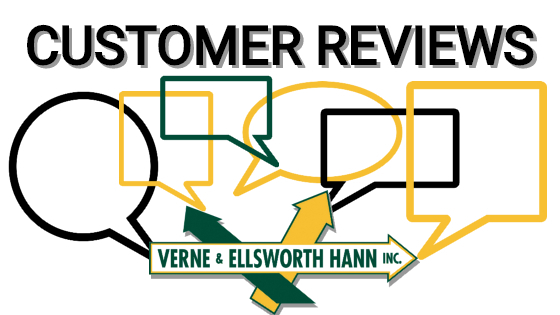 Verne & Ellsworth Hann always appreciates when a customer takes time out of their busy schedule to write a review. When homeowners are looking for a heating, cooling or plumbing company, our reviews help them make a confident decision to call Verne & Ellsworth Hann. With 4.8 stars out of 89 Google reviews, new customers can rest assure they have chosen the right company for the job! This is one of the many testimonials from our valued customer, Brian M. in Mayfield Heights. Verne & Ellsworth Hann, located in Cleveland Heights, has been serving Northeast Ohio for over 63 years. Owned and operated by brothers Bill and Chris Hann, Verne & Ellsworth Hann is the ONLY Hann family owned heating, cooling and plumbing company in Cleveland. Our customer service, expert technicians, boiler expertise, attention to detail, dedication and professionalism just can’t be beat. Don’t just take our word for it…visit our website at www.VEHbrothers.com or check out our Google reviews for yourself!